The Volunteer of the Year for 2006 is Chuck Sweet Chuck Sweet has been a very active volunteer with the senior community, as well as with the whole Mira Mesa community. He is currently the vice chair of the Board of Governors of the Senior Center, was Golden Friends president for 6 years, and has served on the Board of Governors of the Senior Center for 7 years. He has been a member of the Mira Mesa Recreation Council for 8 years, worked on the Street Fair for the last five years, and has organized the Halloween Carnival for the last 8 years. He served as treasurer for the Mira Mesa Town Council for two years, and served on the Board as a member at large this past year. 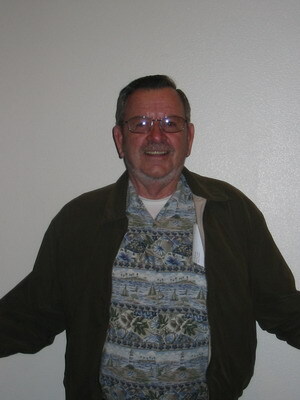 He has served on the Mira Mesa Maintenance Assessment District for the past three years. He was instrumental in getting a California Flag for the Library. He is also very active with the First Baptist Church of Mira Mesa, and has been the senior trip coordinator for the last 13 years. Chuck moved to Mira Mesa in 1986, after retiring from a 33-year career as a firefighter in Boston, MA. Pictures from the Volunteer of the Year Dinner April 28, 2007 at the Mira Mesa Senior Center.